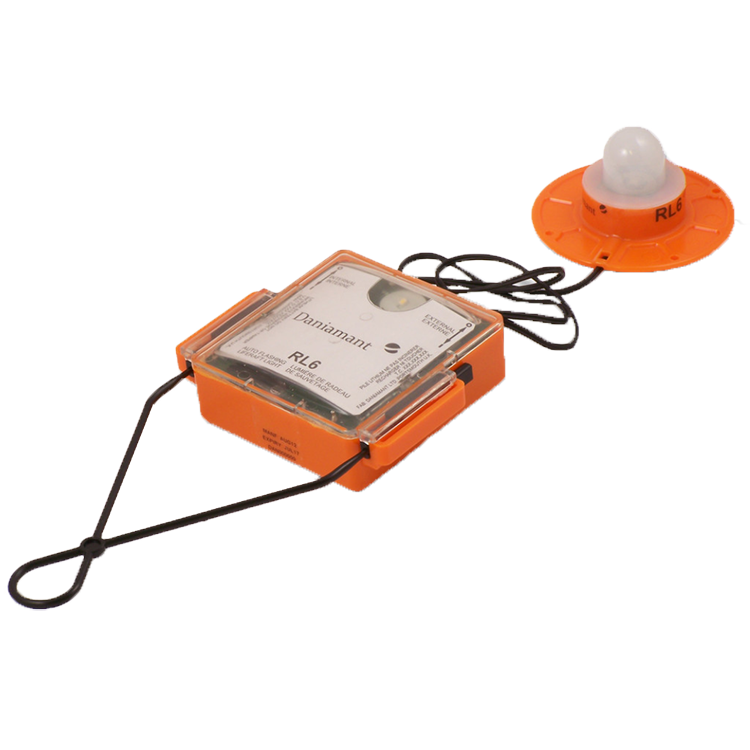 The RL6 is designed to be a compact, cost effective, reliable combined internal and external light for liferafts. It has features to make fixing to the raft easy, and includes a single point of activation for both internal and external lights. Once activated, the internal and external lights are individually controllable. 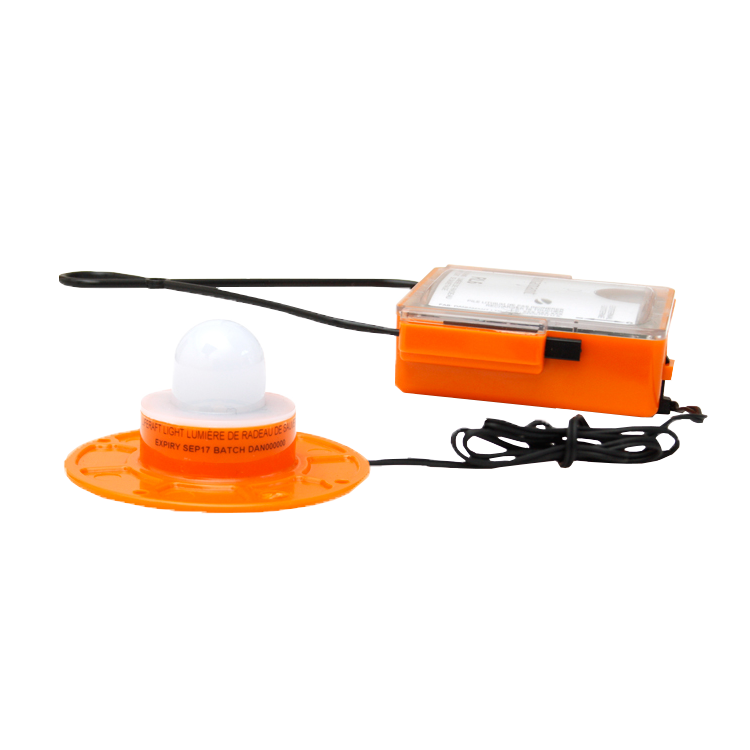 The external light is designed to produce a minimum of 4.3cd in all directions for 12 hours. The RL6 Internal Light also features an ultra-flat profile to further aid packing into the Liferaft. The internal light is designed to produce a minimum of 0.5cd in all directions for 12 hours. The battery pack has a maximum shelf life of five years from date of manufacture. 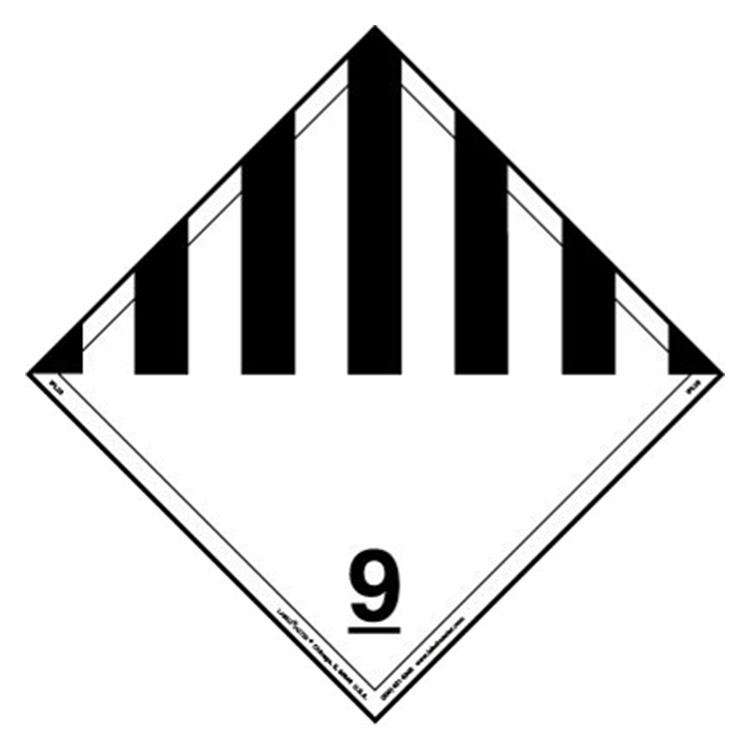 Note: To download OEM versions of these product certificates please contact the appropriate liferaft manufacturer.